Pledge #JamaisSansElles (“Never Without Her”, plural): 240 participants French humanist entrepreneurs and players from the digital world, the media and political life want to see more women taking part in public events. #JamaisSansElles is a movement in favor of gender diversity, promoted by approximately a hundred humanist entrepreneurs, players and stakeholders from the digital world, the media, education, politics, accustomed to participating in public discussions and events who now refuse however to take part if there are no women involved. The association promotes gender equality through the individual commitment of its signatories, the labeling of events, and various speaking engagements. Use the hashtag #JamaisSansElles to relay news and raise awareness among organizers of the events you are participating in or attending. Follow the expansion of the #JamaisSansElles community and its impact through social networks. Take part in this co-elaborative movement. What is the link between Angela Merkel, a conference at the Élysée Palace and a club for digital entrepreneurs? #JamaisSansElles! The debate sparked by a picture of a panel composed exclusively of men at the Franco-German Digital Conference in October 2015 led to the creation of the #JamaisSansElles movement. The #W202019 Final Communiqué contains 7 recommendations from the Women 20 Summit in Tokyo for the promotion of gender equality in G20 countries. The W20 recommendations are taken into account by the G20 in its various works and contribute to the evolution of public policy. The Women 20 Summit 2019 marks one of the highlights of W20 work. It unites all the delegates in Tokyo March 22 – 24, 2019, ahead of the G20 summit to be held in June in Osaka. #JamaisSansElles is Head of Delegation for France. The delegates of Women 20 gathered in Paris at the invitation of the French delegation #JamaisSansElles. Jean-Michel Blanquer and Henri Verdier participated in an open discussion with the delegates and the Japanese delegation. On the occasion the Internet Governance Forum, hosted annually by the United Nations General Secretariat, #JamaisSansElles has co-organized a workshop dedicated to gender diversity, democratic participation and inclusion in the cyberspace. 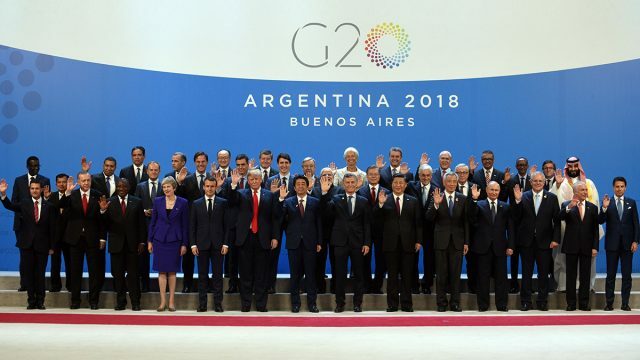 The final declaration of the #G20Summit held in Buenos Aires, which is based on a consensus, has followed many of the W20’s recommendations and includes an article dedicated to gender equality.